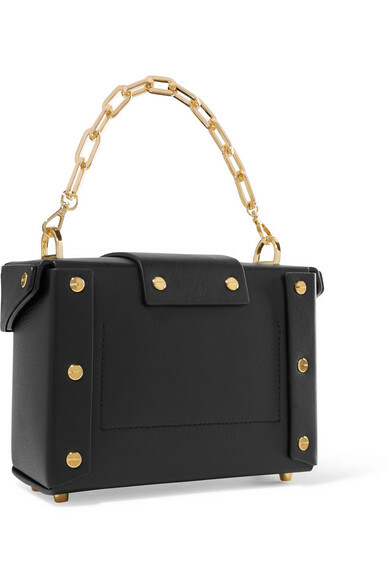 Yuzefi's 'Asher' bag is defined by its boxy shape that's inspired by vintage camera holders. 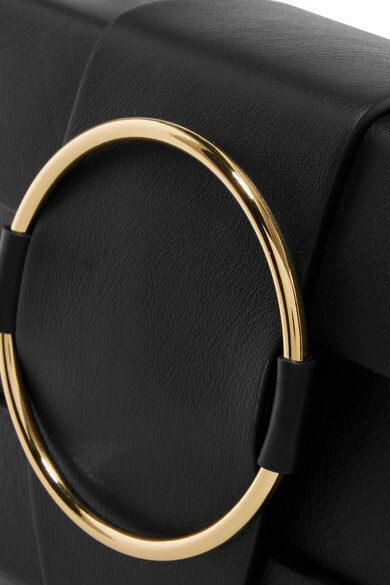 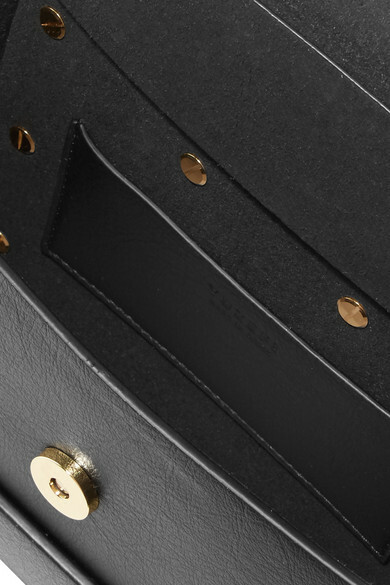 The glossy gold ring, bolt and chain hardware look so elegant next to the smooth black leather. 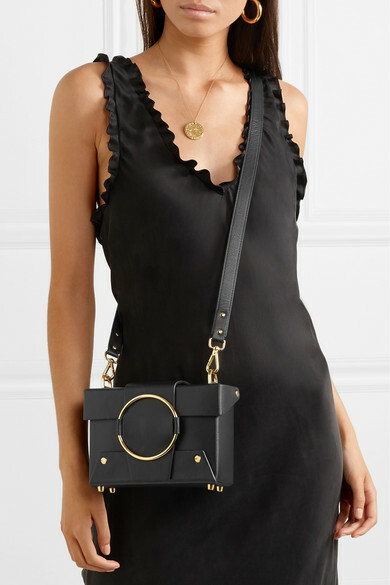 Wear it cross-body using the long strap. 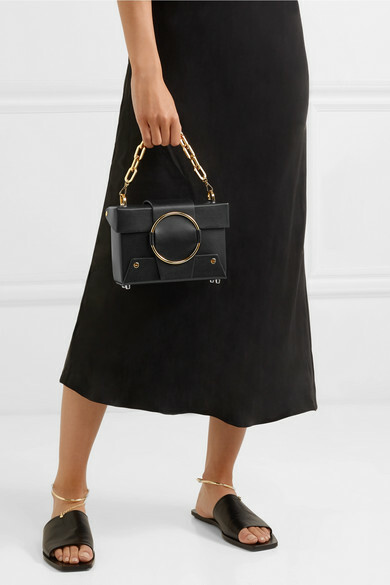 Shown here with: Tibi Dress, Jil Sander Sandals, Sophie Buhai Earrings, Alighieri Necklace.